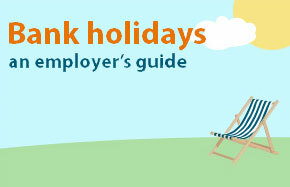 The prospect of bank holidays will come as a welcome relief to many employees. will depend on the wording of their contract of employment. also raise difficulties with non-Christian employees. with the most complex issues relating to bank holidays. Note, this form will redirect you to your to the pdf. It will also email you a link to the pdf. Finally, it will confirm your subscription to HRreview’s daily newsletter (you can unsubscribe at any time and keep the download! ).